I admit, I’m a lazy foodie. When it comes to things like shellfish, I want my food to taste just as amazing and the level of effort it takes to get it (once it gets to my plate). For this reason, while I love crab, I’m always dismayed by the idea of having to crush tiny crab legs with a nut cracker and pick through tiny pieces of shell for flakes of tasty juicy meat. 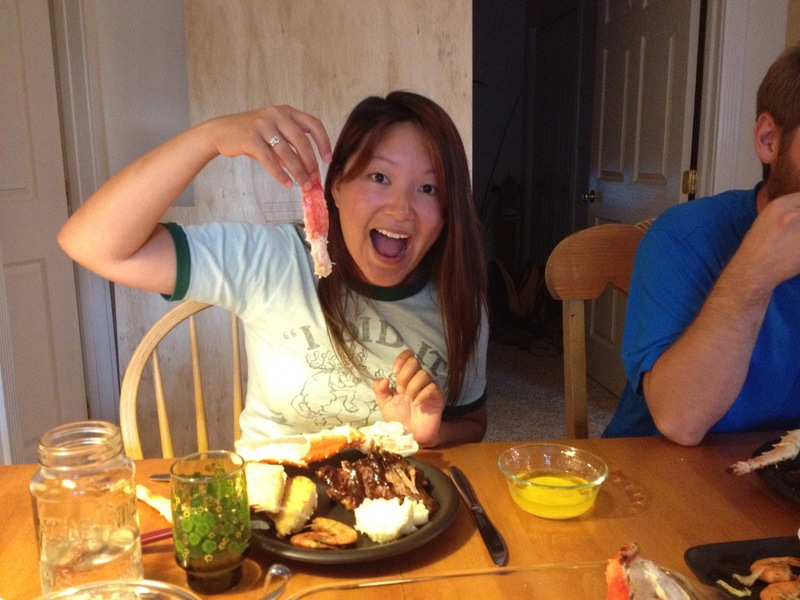 I’m not sure what I ever thought King crab would be like compared to dungeness crab, but it definitely was the total opposite experience. I have never had King crab before, so when Ryan told me he bought 5 pounds of it off of a fishing ship that delivers to Skagway Fish Co., right before our arrival, I was pretty excited. What changed my life even more was the tool Ryan presented me with to eat the king crab with. It’s changed my life forever! Enter: the seashell opener!! Where has this been my whole life? This little plastic tool IS AMAZING! 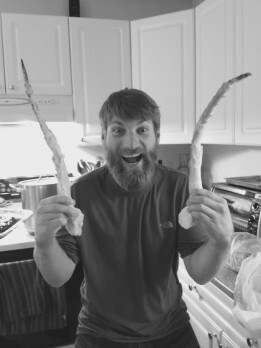 The shell on king crab is soft enough to let this little tool rip right through, allowing you to take out a WHOLE piece of crab meat with one go! I couldn’t get over it. Seriously. Look at ALL THAT MEAT. And check out the dish of butter for dipping! I can slowly feel my arteries closing up as I write this and fantasize about eating this all over again. 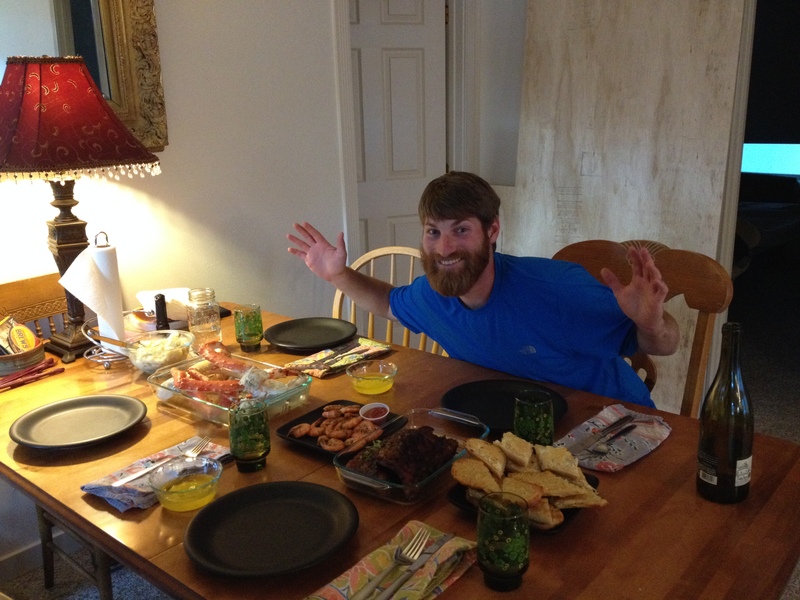 Ryan boiled the crab right up and it was ready! 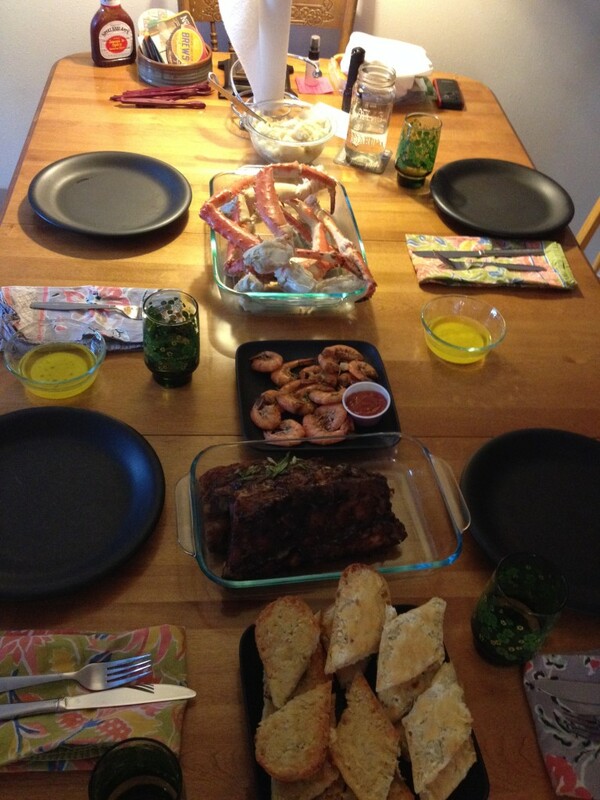 As if 5 pounds of king crab wasn’t enough, Ryan also got us a rack of ribs, and peel n eat shrimp! GAH. SO GOOD. Words can’t even express it. Jess and I prepared two types of cheesy garlic bread! Because, you can’t have enough cheese bread. 🙂 Seriously, I never wanted the night to end and my stomach to become a black hole so I could keep eating more. Despite Alaska’a size (bigger than Texas), it’s remoteness and geography make it one of the least inhabited places in the world per square mile. That makes it difficult to bring fresh produce and meats that can’t be grown in-state. 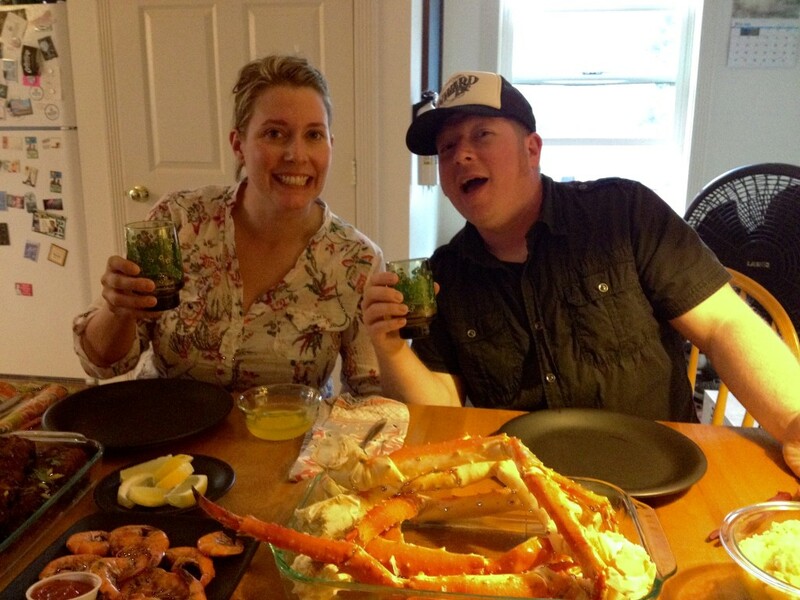 Lucky for us, Ryan and Jess have spent the last 7 years living in Alaska and they figured out how to still dine like foodies. Thank you so much Ryan and Jess!